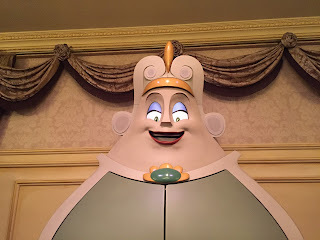 The "New Fantasyland" area of the Magic Kingdom has some of the best audio-animatronics figures at Walt Disney World. 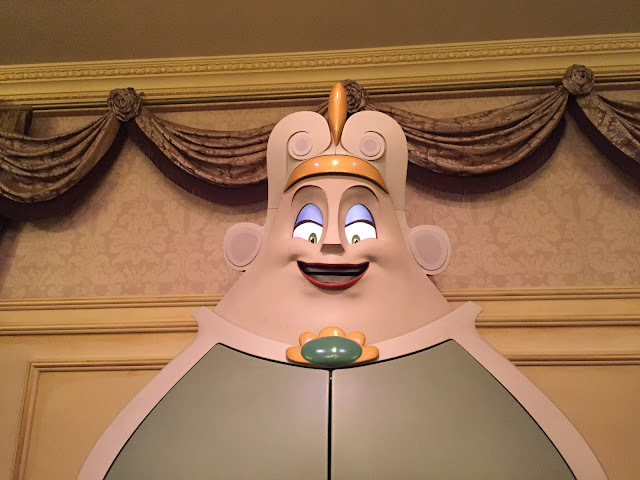 Madame Wardrobe in Enchanted Tales with Belle is a good example. Her lip movements and expressions are amazing. I snapped this shot while accompanying my tour guests yesterday. My 6 year old guest was chosen to play the part of Mrs. Potts.